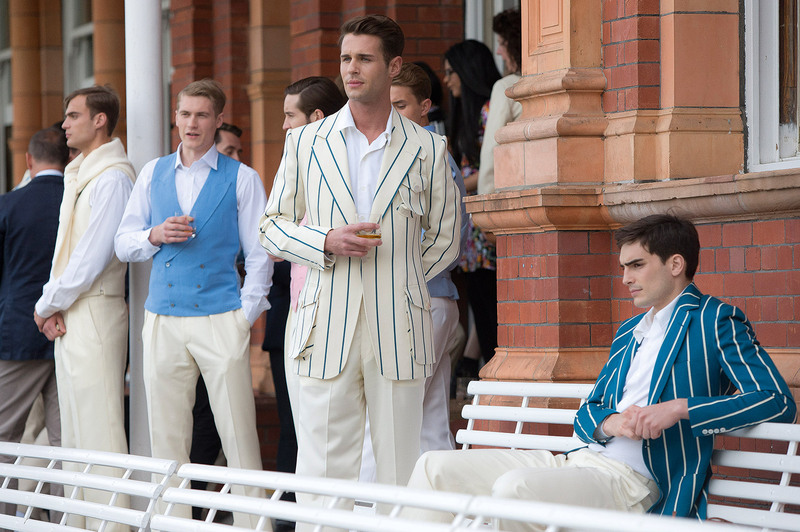 Menswear is taking its cues from the rugby field and the cricket pavilion. What does this say about us? In January 1974, Tom Wolfe, that dedicated chronicler of fashion, lamented the sad death of Ivy Style, which for decades had been the classic meeting point of education, sport and menswear. The sports jacket, the button-down shirt and the club tie were gone for good, he argued—banished by counter-culture guilt and “jeans, jeans, jeans”. 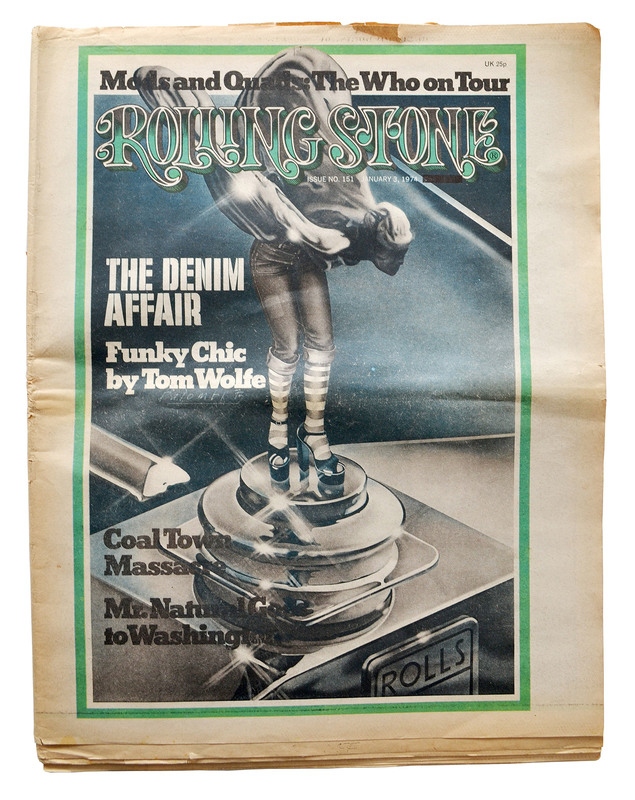 “Funky Chic”, Wolfe’s sparkling cover story for Rolling Stone magazine, portrayed a new American elite, just as wealthy and fortunate as his own generation, but newly determined to cover the tracks of its privilege by dressing down. But when he returned to the scene two decades on, he found sartorial devastation: “Visible at Elm and York are more olive-green ponchos, clodhoppers, and parachute boots…long-distance-trucker warms, sheepherder’s coats…coal-stoker strap undershirts…lumberjack plaids.” The sports coat, the Oxford shirt, the collegiate tie, the whole scholarly-sporting lexicon of the club, the pavilion and the quadrangle: it had died out, just like that. And it had been replaced, in Wolfe’s typically provocative phrase, by “more prole gear of every description than you ever saw”. So much for 1974. In 2015, let me borrow Wolfe’s methodology and see where it leads. Wolfe, standing at Elm and York, once the epicentre of antique Establishment charm, saw waves of phoney proletarianism crashing down. I recently walked through Soho, London, and, soon after, through Nolita in Manhattan. Not long ago, both Soho and Nolita were resolutely downtown, proud bastions of vice and street life. And now? I experienced such an assault of genteel sportiness that the two neighbourhoods might as well have perfumed the air with sandalwood aftershave and linseed oil. On Brewer Street, the cult brand Rapha peddles splendid Lycra cycling kit, virtually next door to Jack Spade’s sailor-style anoraks and preppy shirts. Nearby on Beak Street, Gant Rugger—owned by a Swiss holding company but located, spiritually speaking, in Wolfe’s alma mater at New Haven—sells Ivy League staples with a modern, European twist. Between the two stand an array of outdoorsy heritage clothing brands and barber shops of self-declared authenticity and gentility. If the whole scene was airdropped onto King’s Parade in Cambridge—where the university sports teams are pinned to the notice-boards of ancient outfitters and “Blues” buy their kit before Varsity matches—it would look snugly at home. In Nolita—famously described in the 1970s by Wolfe as a “slum”—Ralph Lauren has a store that feels even more specially retro and cosy than is usual with the brand. Nearby, I bought a preppy T-shirt from, allegedly, a “surf shop”, but one that sported exposed wooden floorboards straight out of an English public-school cricket pavilion. It’s not just a downtown thing. That evening I walked uptown to Lincoln Centre for the New York City Ballet’s autumn season opening gala. There was much fuss about the fact that Thom Browne had produced costumes for one of the season’s ballets. Browne is known for his uber-tight cut, and, true to form, the outfits—grey flannel, with white piping—reminded me of the unfortunate occasion when my school uniform shrunk in the wash.
Wolfe need not have worried. Ivy Style and its more populist cousin “Prep”—1950s Elm and York and its derivatives, basically—have proved to be one of the most enduring and influential themes in fashion. Far from being on the wrong side of history, the iconography of the sports pavilion, especially the college sports pavilion, is the fashion bubble that has never burst. Prep is now ubiquitous, from the Japanese cult brand United Arrows to the English high-street staple Jack Wills. Whereas Wolfe saw the street come knocking at the door of the Ivy League, we’ve just witnessed Ivy Style take over the street. There are three great stages in the evolution of menswear (though inevitably they overlap). The first looked back to the military tradition. The second referenced workwear, especially jeans. The third has revolved around sport. That transition—from officers to cowboys to sportsmen—says a lot about changing perceptions of manliness, fantasy and the heroic ideal. In 2012 Anderson & Sheppard opened a second store, which they call “our haberdashery”. It is much closer to a conventional shop than its bespoke parent. Closer, but still rather different. Every browser, however unlikely as a potential buyer, is offered tea and biscuits in front of the fire. The ambience is warm but with unmistakably grand undertones, as subtly crafted as the clothes. It exists somewhere between the assured and avuncular snug of a country house and a re-engineered private-school outfitter, only one in which the ultra-scratchy jumpers have been replaced with handmade cashmere. “Very Junior High!” was the verdict of Graydon Carter, the editor of Vanity Fair. That relationship, between sport and the aura of elite educational institutions, is central to the history of men’s style. In 1965 a strange book with a tiny print-run was published in Japan: “Take Ivy” by Shosuke Ishizu and Toshiyuki Kurosu. 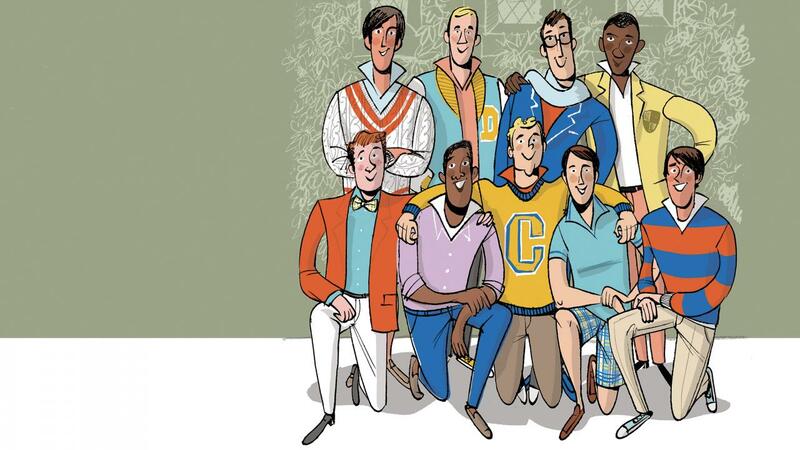 Written as a primer on how to behave as a “true Ivy Leaguer”, it is hard to read with a straight face. It depicts undergraduates waltzing around Harvard and Yale in sportswear; recent graduates stand outside famous shops on Fifth Avenue. Both the quadrangle and the boutique, according to “Take Ivy”, “exhibit tradition and status…peaceful, yet full of life.” “Take Ivy” became a cult fashion book and first editions now command collector’s prices. Even today, Japanese brands provide much of the energy of modern Prep, although Japan is almost totally unconnected with the sports and institutions on which the movement is based. On one level, it is easy to mock the pretensions of preppie style, especially when it is over-explicit to the point of being treacly. When Jack Wills puts up large signs in its windows announcing that it is the “outfitters of the gentry” and “university outfitter”, you can be pretty sure it is neither. But it is a revealing double boast, explicitly linking tertiary education with social status. Ivy League universities, Nassim Taleb complained in his book “Antifragile”, now have the status of a luxury good: “Harvard is like a Vuitton bag or Cartier watch”. It is also ironic that English stores now closely imitate Ivy Style, given that the original American look, developed in elite pockets of New England, was drawn so immediately from the English public schools and their games. There was a delicious moment in the 1990s when Prep became the prevailing style of hip-hop. This ironic street-style posture only made the look all the more attractive in England. Hence privileged Home Counties kids were ironically copying black American street style, which was ironically imitating the American WASP establishment, which in turn was shaped as a fashion entity by the English public schools. By a roundabout route, Etonians and Harrovians were copying themselves. This point was brought home to me on a cold day in the early 1990s. Looking for something warm to wear in my father’s chest of drawers, I opened the wrong one. Instead of finding navy wool jumpers, I stumbled on a pile of his old rugby shirts from his school days in the 1950s (“vintage”, we’d say now). But I’d seen them before. Where? In magazine adverts and photos from the catwalks. Alongside imitation there has been adaptation. In its more refined incarnations, modern Prep plays on its subtlety. Trunk Clothiers, on Chiltern Street in Marylebone, has mastered a harder-to-place preppie style. Its understated clothes are mostly drawn from designers in America, Japan, England and Italy who are happiest riffing on sporty motifs. But who is imitating whom? That is less clear. “Some of the most Italian-looking tailoring we have is actually Japanese,” the manager, Tim Yates, told me. Where Ralph Lauren can be suspiciously shouty, Trunk aspires to quiet social confidence. Internationalism is part of its deliberate anonymity, blurring references by globalising them. The entanglement of sport and status is as old as modern team games themselves. In the mid-19th century—the era of “Tom Brown’s Schooldays”—organised sport was explicitly bound up with the modernising of manliness and heroism. Team games originated as a way of updating the chivalric ideal. The tent on the boundary—the precursor of the sports pavilion—consciously resembled the pavilion at the edge of the medieval battlefield. Sports clothes adopted chivalric forms: crosses, fleur-de-lys, quarters, stripes and hoops. The ongoing obsession with white clothing in cricket and tennis derives from chivalric code for purity and refinement. The England jersey that is worn in both football and rugby stems from Rugby School’s original all-white sports uniform. On-field references and iconography were echoed in the pavilion or clubhouse. The amateur ideal became an aesthetic, as well as a code of ethics. Amateurs (or “gentlemen”) developed a new style of dress, replacing the dark formal suit with the studied casualness of blazer and flannels. A lot has changed, of course. 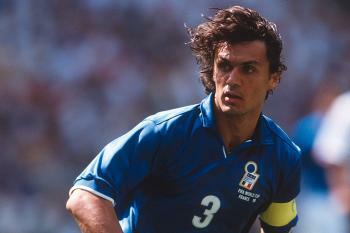 But even in the age of win-at-all-costs, whatever-it-takes professionalism, sport retains a link with its past. Style, in fact, is central to sport’s sense of its own history. 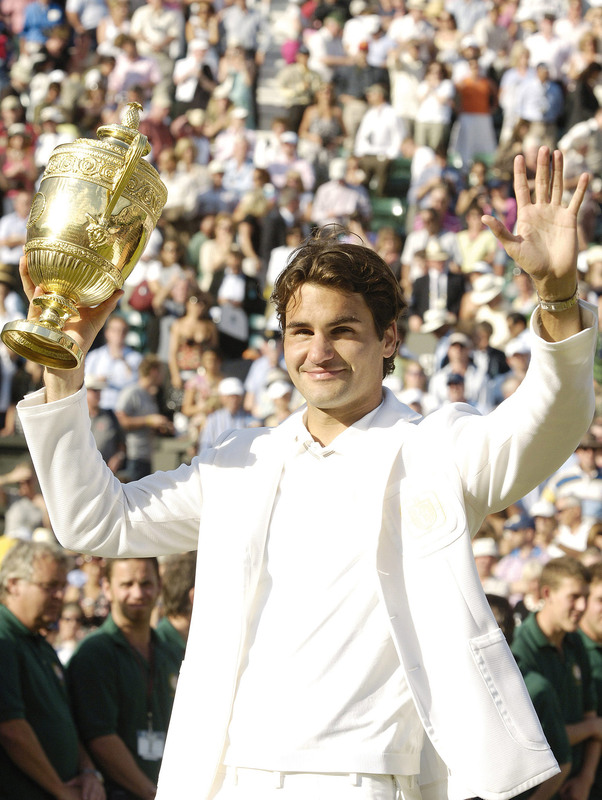 When Roger Federer walked onto Centre Court at Wimbledon in 2006 wearing a cream blazer, the moment marked a marriage of old and new sporting themes. The term “Blazerati”—implying florid, portly, incompetent and out-of-touch men waddling around sport’s corridors of power, whether or not they wore blazers—had become one of sport’s most derogatory terms. When the patrician George Bush lost the 1992 presidential election to the younger, less formal, more populist Bill Clinton, Alistair Cooke announced on the BBC that it was a defining moment: blue jeans had finally supplanted the blazer. But everything comes round again in the end. Now the blazer, once condemned as the badge of a man far removed from heroism of any kind, was being worn by the greatest tennis player of all time—into battle, on the highest stage. Federer, with his great achievements, was able to give a meritocratic twist to an old-world statement of exclusivity. Part of the explanation is that the status of sport itself has risen exponentially. 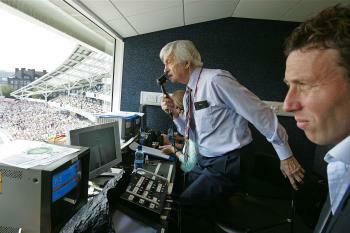 Sport is closer to the heart of the global conversation and more amply covered in the media than ever. Fashion has reflected that elevation: the ascent of sport is the underlying reality, the ascent of sportswear is the reflection in the mirror. Sport once used fashion to make itself look established and high-status; now fashion uses sport for the same ends. Athletes today fill the space inhabited by film stars in the 1950s and rock stars in the 1960s—just count the billboards displaying Cristiano Ronaldo and David Beckham. The emergence of Sport Luxe—the dizzying array of engineered running kit, luxury yoga clothes and designer trainers—stands at a tangent to Ivy Style. It is a connected but different manifestation of the influence of sport on fashion and lifestyle. Far from being just for the gym, Sport Luxe is also about display. Instead of showing off expensive fabrics or jewels, the luxury good being revealed is today’s ultimate status symbol: the honed body, trained during ample leisure time. According to the Financial Times, sales of jeans fell by 8% in America last year; “athleisurewear” grew by 12%. Wolfe’s era of “jeans, jeans, jeans” is coming to an end, to be replaced by “sport, sport, sport”. The game is on.